In this dazzling debut about family, home, and grief, C. Morgan Babst takes readers into the heart of Hurricane Katrina and the life of a great city. As the storm is fast approaching the Louisiana coast, Cora Boisdoré refuses to leave the city. Her parents, Joe Boisdoré, an artist descended from freed slaves who became the city’s preeminent furniture makers, and his white “Uptown” wife, Dr. Tess Eshleman, are forced to evacuate without her, setting off a chain of events that leaves their marriage in shambles and Cora catatonic—the victim or perpetrator of some violence mysterious even to herself. This mystery is at the center of Babst’s haunting and profound novel. Cora’s sister, Del, returns to New Orleans from the successful life she built in New York City to find her hometown in ruins and her family deeply alienated from one another. As Del attempts to figure out what happened to her sister, she must also reckon with the racial history of the city and the trauma of a disaster that was not, in fact, some random act of God but an avoidable tragedy visited on New Orleans’s most vulnerable citizens. Separately and together, each member of the Boisdoré clan must find the strength to remake home in a city forever changed. 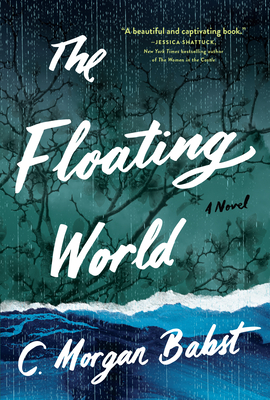 The Floating World is the Katrina story that needed to be told—one with a piercing, unforgettable loveliness and a vivid, intimate understanding of this particular place and its tangled past. C. Morgan Babst studied writing at NOCCA, Yale, and NYU. Her essays and short fiction have appeared in such journals as the Oxford American, Guernica, the Harvard Review, LitHub, and the New Orleans Review, and her piece “Death Is a Way to Be” was honored as a Notable Essay in Best American Essays 2016. She evacuated New Orleans one day before Hurricane Katrina made landfall. After eleven years in New York, she now lives in New Orleans with her husband and child. "C. Morgan Babst's portrait of a troubled New Orleans family that fractures further during and after Hurricane Katrina is poetic and suspenseful . . . an ambitious novel." "Powerful . . . Babst is most effective at conveying the emotional weight of the tragedy when she presents it alongside vibrant characters and story lines. One of the most vibrant is the family patriarch, Vincent, whom Babst brings to life in a portrayal that’s impressively unrestrained, even Faulknerian."